If you want to learn the types of seashells, sea life, vegetation and what the different kinds of mollusk egg cases look like and live in the Gulf Of Mexico, you’ve got your chance this week. It all washed up on the beach on the East end of Sanibel. You can see it for miles. So many mollusk egg casings and PEN SHELLS galore! We normally just find the purple SEA WHIPS but when I went to see Jane’s FLAME BOX CRAB she showed me this bright yellow WHIP she picked up as well. Don’t worry, I saw lots of shells too. Mainly, the double DOSINIAS. PS- Some of you know I’ve been testing a new Nikon J1 camera. It isn’t very spontaneous but when I do catch a nicer shot than with my spontaneous, trusty, easy, clear Panasonic DMC…. I’ve noted it. stop the waters we will be there tuesday morn, taking red eye from west coast. need my beach mental health time. oh, just look at all that good stuff! Eight days and counting! Oh my those whips are fabulous!! That is just outrageous! Wish I was there….but at least, I’m glad you have a good camera and share photos so we can be awed! Walked that beach all morning and found some nice things! Here from Calif. would love to spot you with your camera! I love the sea whips. Looks like a great true tulip in the cyber pic but I think it may still be alive. But I did see a very pretty lace murex. I see Pam’s candy too in one of the shots. Definitely looks like an interesting time to be on the beach. Wunderbar! Looks like TONS to look at. I’d go blind trying to not ventilate as I was looking! LOL Congrats to all on their finds! HAPPY SHELLING! Great shots! :) Look like the “jackpot” of shells! Is a sea cucumber a shell or an animal or…? Wooough! It looks like King Neptune is having a yard sale! I’m one day into my Nevis trip and shelling as much as I can. Finding a lot of cool things including some new stuff and some rare things, mostly teeny tiny less than half an inch things, but great stuff. However nowhere compares with Sanibel for the abundance of its bounty when you guys get the right winds, which happens pretty often!!! Oh by the way, Beth, sea cucumbers are closely related to sea urchins and starfish and brittle stars, but sea cukes are all soft, no shell at all. My sister, Della, and I will be there tomorrow! We were already excited – this is almost too good to be true! Yeeee hoooo! Hope to see you on the beach Pam! Thanks so much for keeping us in tune with the beach! Darn, we were there for spring break and there was nothing! Now all the good stuff appears! Enjoy! Oh boy….I’ll be there with 3 friends from work in one week! 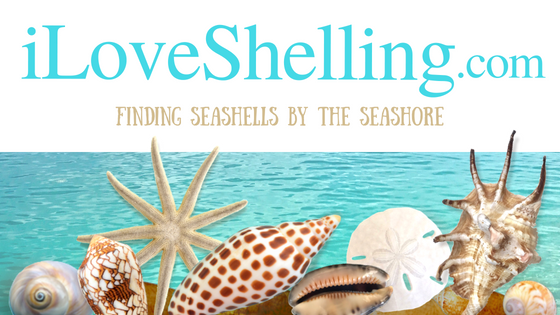 Save some shells! We’ve been running away from home for 10 years or so every spring…and some Oct. time too when we can manage…We all have the magic & love our Captiva/Sanibel…no place like it!. Flying out tomorrow morning — will be on Sanibel by 6:00 in the evening — 8 wonderful days on Sanibel. I love cyber shelling! Thanks for the thrill! Pam, it is great to see all the stuff on the beach. The shelling should be excellent during the next few days, if not longer. Next time you see some of the sea whips, you may want to look closely for the One tooth Simnia, http://shellmuseum.org/shells/shelldetails.cfm?id=54 , which live on the sea whips. Often they are knocked off the sea whips, before they land on the beach, but sometimes they are still attached. They are the same color as the sea whips and appear as an elongated bump on the “stem”. They are not common, but you will most probably find one, if you examine “enough” sea whips. Love the cyber-shelling photo. Do you know what the tiny grayish specks on the inside of several of the open dosinias might be? Are they tiny shells? LOL on the “random dead carcasses”! What a bunch of treasures! we saw a live flame box crab when we where there at low tide last month. He wasn’t scared. He sat right on the tide line and i could have picked him up but i didn’t want to bother him. Very cute though!!!! Yes! I’ve found a few! So cool! I will be posting those little cuties soon. Also I found the wing oysters on them as well. Very nice beach bling…I hope to be on the beach this weekend with some of my Cape Cod friends…hope to see it all in person!! As always….thanks for sharing! Hi Pam: I spent the morning (Fri) on the beach near the lighthouse. stood in the waterline and dredged with my net. Found AMAZING stuff!! Leaving tomorrow from the East end to go to Blind pass for a week. Still hoping to run into you. What size shell leaves those huge egg casings? We’re arriving on 5/4 and can’t wait.!! Keep those west winds coming.